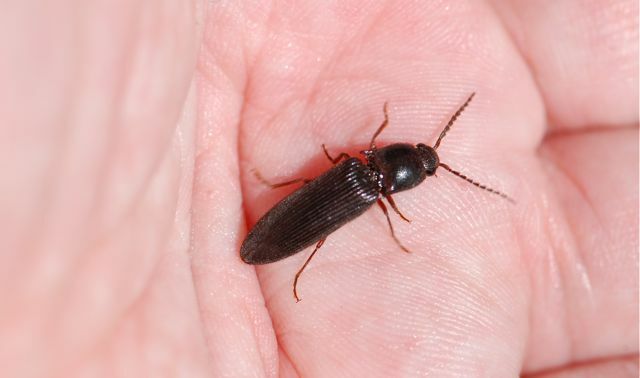 Have you ever wondered where click beetles (Order Coleoptera, Family Elateridae) come from? 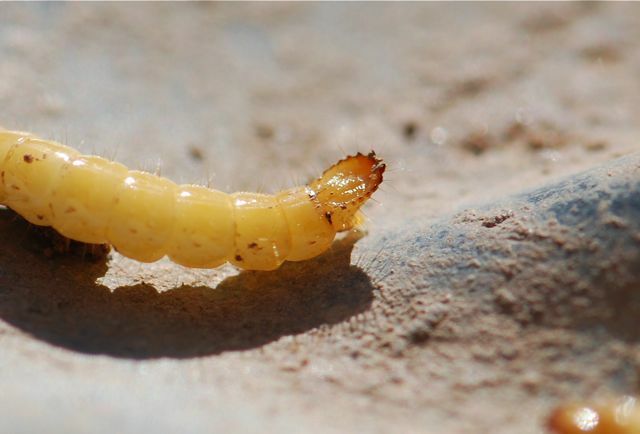 After all, they are beetles, so they must have a larval stage. 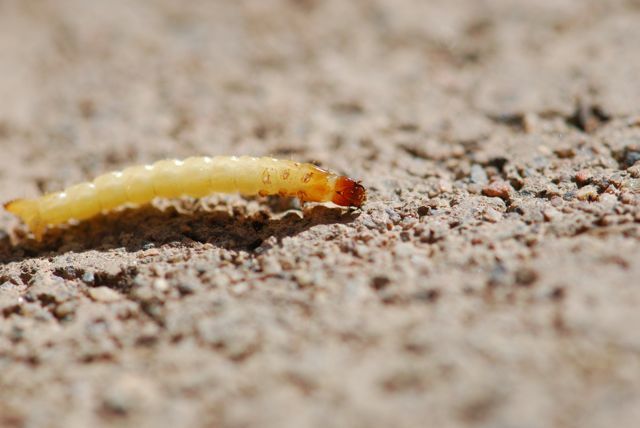 The larval stage are called wireworms. They live in the soil, often in sod. 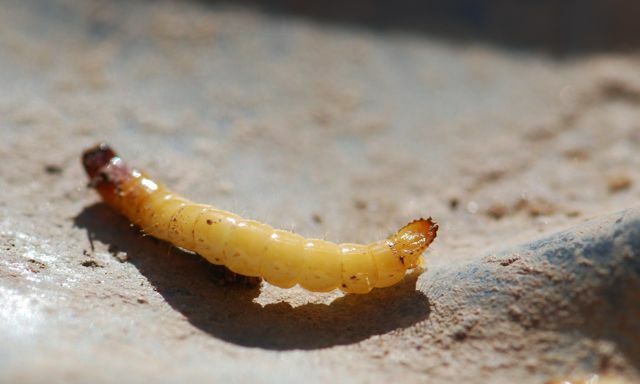 Here's an example of a wireworm. We dug up from the soil. The reddish-brown end to the right is the head. 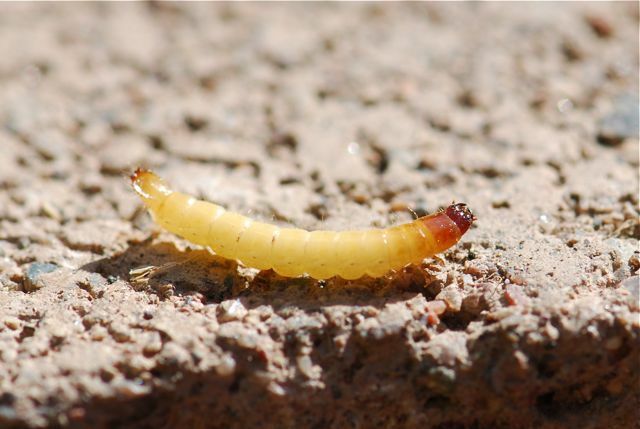 In this photograph, the wireworm has been tipped on its side so you can see the three tiny pairs of legs on the thorax, which is the part right behind the head. At the other end (end of abdomen) is a single proleg. The end of the abdomen is towards the right in this photograph. This species has a flattened area above the single peg-like proleg. The flattened area has numerous hairs, so it probably has a sensory function, although it also looks a bit like a second head.